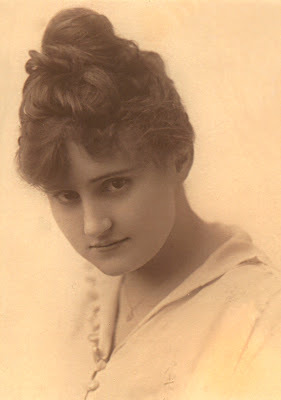 Mabel Williams, wasn't trying to win over her boyfriend by having beautiful eyes. Maybelline was first Lash-Brow-Ine in 1915 not 1913 and Tom Lyle was a young entrepreneur, not a chemist. 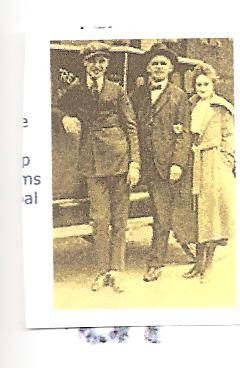 In the video, the narrator infers that this picture is of Mabel's boyfriend (in the middle) and Mabel Williams. The boyfriend is actually her father, Thomas Jefferson Williams and her brother Tom Lyle Williams on the left. They are standing in front of Tom Lyle's new convertible Paige Detroit, parked in front of the first Maybelline building in 1916. Read the real story of the birth of Maybelline and the Williams family, in The Maybelline Story and the Spirited Family Dynasty Behind It.